Rolling Test: Immediately after the drop test, the drum has to be rolled on the rough surface to ensure there is no leakage from any part especially from the mouth portion of the drum. Hydraulic Test: There is a Hydraulic pressure test. 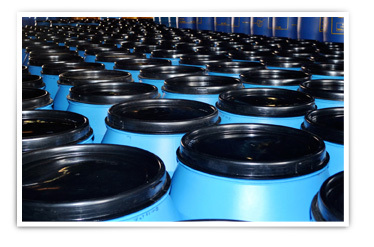 UV Stabilizer: Because of the strong Sun Rays passing through the Carboys we use It to protect the containers even if it get expose to the strong sun rays so as to Protect the containers and the material filled. Our containers also undergo running trial to ensure that they can perform efficiently after the shipment. Strong and Sturdy: The products are made out of special grade High Molecular High Density Polyethylene with excellent strength to withstand all transit hazards in any conditions. Compatibility : The material used in production i.e. High Molecular High Density Polyethylene are of food grade (certified) and are compatible with food chemicals, petroleum products, hazardous chemicals, Resins etc. Safety : Our products goes through with multiple tests to pass all of them and use certified virgin raw material only to give you the complete packing solution. Packaging Standards: Our products confirms national and international packaging standards and are listed with IIP (Indian Institute Of Packaging) to provide you UN Certification and other testing requirements. Price : We believe in right & fair price policy in which we are ready to share information to make you comfortable about on your purchasing decisions.